Mike and I love going on long rambling walks that go nowhere in particular. More often than not, we’ll end up in a grocery or kitchen goods store. The other week we stopped into Williams Sonoma where they were sampling their ranger cookie mix. 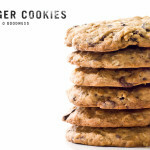 I’ve never had ranger cookies before but how could I say no to oats, chocolate, raisins and coconut? These cookies go by a plethora of names (cowboy cookies, kitchen sink cookies, everything cookies) but they’re completely new to me. 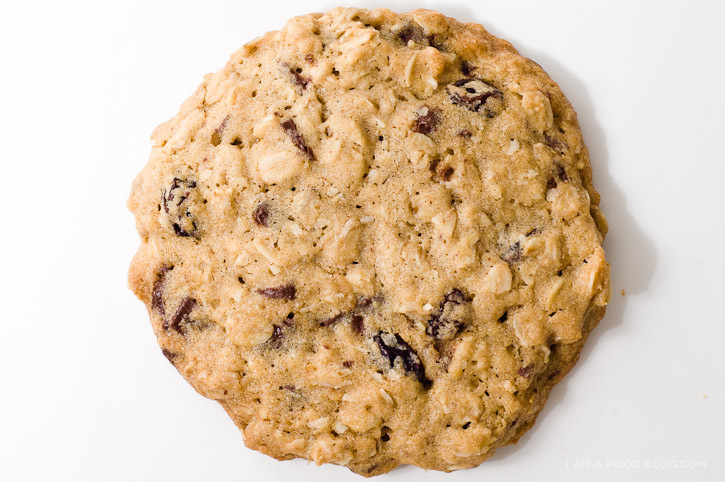 Basically, they’re a raisin oatmeal cookie with extra add-ins. Generally the add-ins include coconut and chocolate, but I’ve seen recipes with rice krispies, cornflakes and nuts. I kept these ranger cookies pretty simple and they turned out delicious. They baked up just the way I like my cookies: soft in the centre and a bit crispy on the outside. They’re incredibly addictive and I’m sure if I wasn’t planning on giving them to a friend, I would have polished off all nine of the giant cookies. I’m pretty sure I’m going to be making them again soon and when I do, I’m going to double the coconut, chocolate and raisins-I like my cookies chock full of goodness! 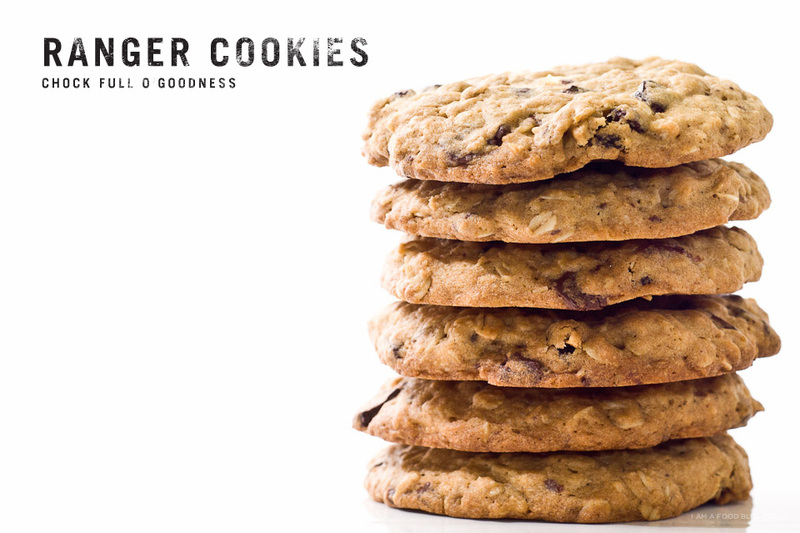 i am coconutty, i am oat-filled: i am ranger cookie! 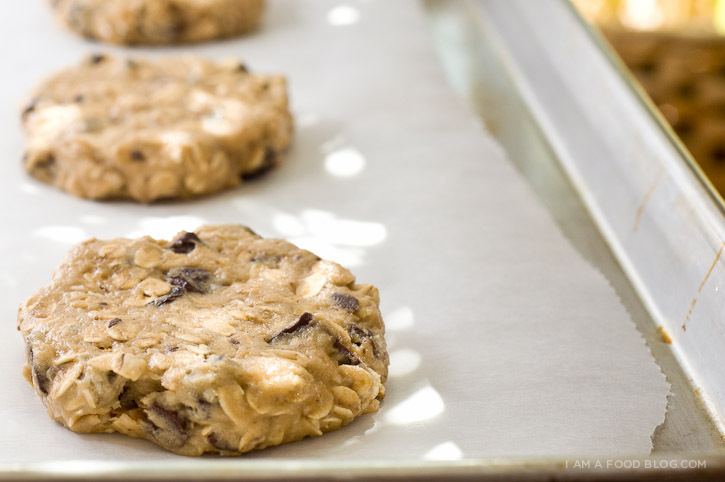 Preheat your oven to 350°F and line a baking sheet with parchment paper. Cream the butter and sugars together until light and fluffy. Add the egg and mix well. Beat in the vanilla. In a separate bowl, whisk together the flour, baking soda and salt. Add the flour mixture to the butter mixture and mix until just incorporated. Add in the rolled oats, coconut, chocolate and raisins and stir until combined. Form the dough into 1/4 cup balls. Place the cookies on the baking sheet and lightly flatten. Make sure there is quite a bit of space between the cookies as they will spread. Bake for 14-16 minutes or until golden brown and just set in the centre. Remove from the oven and cool for a few minutes on the sheet then complete cooling on a wire rack. Enjoy! Yum, these look good. I bet if you threw in pretzels that totally add that nice salty sweet thing. Almost like a Momofuku compost cookie. These were Pee Wee Scout cookies when I was a kid. Mom found the recipe on the side of some food product or another, probably a chocolate chip cookie tin or my cub scout book. Those cookies look unbelievably good! Good photography skills! I am a big fan of what you do. I try to take food photos myself on my blog, but I am SO far from your level. Thanks for all those incredible pictures! Instead of 1 cup all purpose flour and 1/2 + 1/8 teaspoon baking soda, can I used self-raising flour instead? I just accidentaly found your blog..and I have to say THIS IS AMAZING! I am just a food lover and not photo-fan. I do hope I could make great pics like yours! OMGosh, my belly is rumbling at the mere sight of them, THEY LOOK SO GOOOOOD! Just found your blog! Love it :) makes me soo hungry! I am always looking for new cookie recipes. I love the addition of coconut in these ones. uuauu! i’ll try this recipe next time! hope it’s like this pictures! 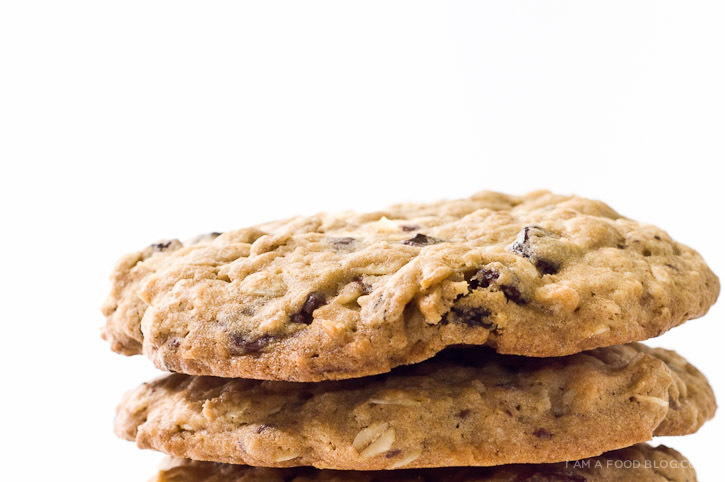 these cookies sound amazing- i love oatmeal recipes and the chewiness of oatmeal cookies. ALso brilliant photos! what camera do you use? 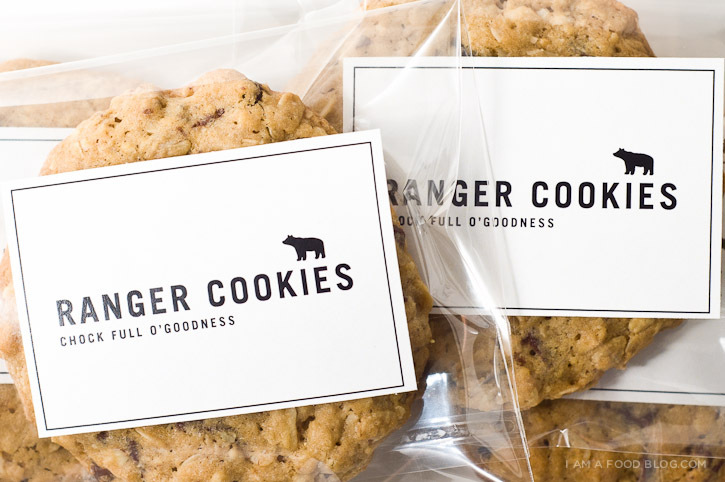 Wow these look great would be nice to have these cookies on our camping trips. These looks great! Do they taste ok without the chocolate? Thanks. cookies with coconut definitely tastes heavenly! HAIL TO THE CLASSIC COOKIE! I made these the other day for a friends get together at work. Everyone loved them and apparently was asking for my number so they could get the recipe. These will be my main cookie recipe for a while now. Thanks for sharing this amazing recipe. I love cookies! But don’t know how to make it. Now, I’ll try to make it by following your simple steps! I think can do it but not good of course :) Thanks for sharing! I haven’t heard of these for a very long time. Yum. Now I want them! I love to make desserts, and I think that I will make them the next time I make a dessert.